John Joy started his golf career on sand greens in Texas in his pre-teen years and later started an apprenticeship with designs of staying within the golf industry. While working and living abroad for nearly 30 years, he had the privilege of playing golf all over the world, from sand greens in Southern Iran to the royal courses of Asia and Great Britain. Upon retirement in the early 90’s he began earnestly focused on refining his golf skills. Now residing in Louisiana, John Joy is part of the team at Le Triomphe Golf Academy as a Certified Teaching Professional utilizing the V1 motion analysis and digital media technologies. He currently holds the title as one of Golf Digest’s Top Club Fitters in the country and has a loyal following by those who know there is no club fitter that can compare. John not only has knowledge and skill, but the true desire to make sure that every golfer that crosses his path will walk away with key improvements to their golf game. He has passion for the game and knows that there are no two golfers alike; he will make sure your clubs are a faultless fit for you as an individual. He strives to be the best in his field and always keeps up with the latest technologies when analyzing your game. "As good as it gets here... There are not many people I would let work on my equipment, BUT JOHN JOY is definitely one of them." "Mr. John and I have worked extensively together and ended up doing a PROGRESSIVE swing weight'ed set of RocketBladeTour irons and some custom black PURE® wrap Grips. It's the best set-up I've ever had. And I've had it all. This set-up gets me the dispersion, distance and centered impact that I'm looking for, allows me to draw the ball without hooking it off the world AND with the LOFTS and LIE angles they give me the gapping I want and look perfect at address." "Mr. John has also helped me with my putter. I've always been a pretty good putter but struggled under the gun with short putts (wouldn't miss them necessarily, but never felt comfortable)... Well he did a custom "back-weighting" (a weighted insert in the shaft) for my putter and that issue is gone forever; we also figured out what loft, lie and length I needed and now I'm starting it where I'm looking with the lowered ball-speed I want off my putter." "John Joy has more SHAFTS than anyone in town or even in a 500mile radius (yeah that includes Houston), he's got a FlightScope launch monitor and will get you dialed in to hit your driver straighter and further than ever before... At least he did for me. And it's not just the shaft, he can use "hot melt" in the driver head to change the acoustics of impact and dial in the ball flight you desire." 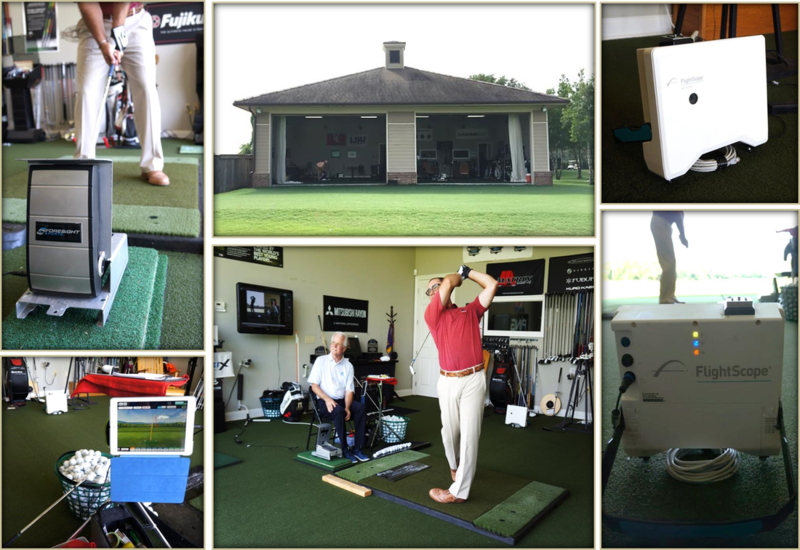 "Pretty amazing that we've got access to a guy like this, a master club fitter of his caliber, right here in Broussard, LA at LeTriomphe Country Club." "I just wanted to share my thoughts on John. What a great gentleman he is first off. Also he has fitted me with wedges, irons and driver. I am so pleased with the outcome that I know I couldn't get any better assistance than what I received. I have recommended him to many and plan to visit him again to adjust my game going forward. I hope you guys realize what a gem you have in him."